This article is part of a series of blog posts covering the many different areas of work going on in Ubuntu right now. See the introduction post here that links to all the articles. Design – the visual design and interaction experience. Platform – the core Unity platform software. Services – a set of functions that Unity makes available to applications for integration and for content to be viewed. Back when the design team started working on Unity the goal was to solve a key set of problems in the user experience of Linux and build a simple and efficient user interface, but to also build a set of design patterns that could scale across multiple form-factors. Design is a complex process, and a process inspired by ideas but defined by practical real-world testing. As the team developed ideas, tested them, and iterated on them, these ideas were boiled into a set of common design patterns that were not merely intended for a desktop…but that could be applied to other form-factors too. This was a challenging prospect: to a reasonable extent, building design around a specific form-factor is much easier than producing scalable designs across these different form factors, and the level of design work that went into Unity was and continues to be incredible. It is important to remember that this design effort was not limited to the launcher, panel, indicators and other common visible pieces that we associate as the building blocks of Unity; it was also the gestures, login manager, toolkit components, dash components, and more. The goal has always been to have a consistent design story across everything we do: Unity, Juju, conference booths, websites, and more, and thus the Unity work needed to be able to exist within this wider design story. As the designs formed for Unity the development team kicked into action. Back in the early days we had two different code-bases for Unity; a 3D and 2D code-base. The simple reason for this is that some OEMs wanted to ship Unity on hardware without 3D acceleration, so we decided to have two different branches and share as much code as possible between these branches so we could serve all potential OEMs. These branches were quite different though. Unity 3D was written with Compiz and a graphical toolkit we created called NUX, and Unity 2D was written in Qt/QML. As you can imagine, this resulted in some duplication of effort and some deltas between 3D and 2D. The teams worked their socks off, but these technical limitations were causing some headaches. As the goals to spin up our full convergence story across TV, Mobile, Tablet, and Desktop became more important it was clear that we needed to make a decision about these two different code-bases. After an extensive amount of discussion it was decided to focus explicitly on Qt/QML as our primary code-base, a decision that also matched our decision to focus on Qt/QML as the core of our Ubuntu SDK. 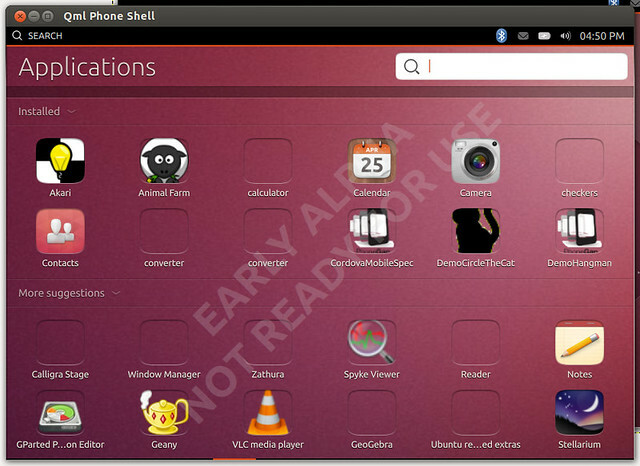 The Launcher – showing running apps, progress bars, number pills, quicklists etc. The Messaging Menu – all of your messages in one place, irrespective of source or network. The HUD – search enabled for all your apps so you can find exactly what you need by finger or voice. Another very significant service is The Dash. In previous versions of Unity the dash provided a place to search your local system and a limited set of online services. For Ubuntu 13.10 the dash has been extended to search 50+ services all from the home scope. The dash provides a consistent place to find and search for content, apps, information and more. Again, it is important to remember that these services are not just useful for the desktop…they apply to all the different form-factors we are focusing on. This, tied together with our convergence-ready SDK means you can consume these services in your app and they run across all these different devices. Earlier I mentioned the decision to focus on Qt/QML as our core development focus, but that was not the only decision moving forward with Unity however. The goal was also to build true convergence into the core Unity code-base too. Our goal was to have a single Unity code-base and when you run it on a Desktop you get one experience, and when you run it on Phone you get another experience. This boils the full convergence story down into a single code-base, which also means that if you fix a bug in that code-base, the bug fix applies to all devices too. This is true convergence: a single code-base with a scalable set of design patterns that can be deployed on a wide range of devices. This focus has materialized in Unity 8; the next generation of Unity that is currently running in the Ubuntu Phone and Ubuntu Tablet images. On the desktop we are still running Unity 7 (based on Compiz and Nux) until Unity 8 has desktop features baked in. Re-size it smaller again and it looks like the phone interface again. This is a subtle example of how Unity 8 adjusts the experience based upon the screen size and the goal is that we will make many such changes to optimize the Unity experience across these different form factors, but the core ingredients, technology, and focus on content is the same, just visible from different perspectives. Today Unity 8 is running on the phone and tablet. Currently the vast majority of engineering focus is going into making everything work for Ubuntu Phone, but all of this engineering going into Unity 8 is built within the context of working on other devices too. As an example, although Unity 8 running on a full sized desktop screen looks like a mobile device running on a monitor (a native desktop UI will be added later), the core of the dash and all the system services will be desktop ready: they just need to be extended to support that screen profile. In other words, although it might feel we are not working on the desktop, everything the engineering teams are working on is work we would need to do for the desktop in Unity 8 anyway, so it is all valuable work heading in a consistent direction. Not only this but there is a far greater level of continuous integration and testing in Unity now than ever before. Every four hours there is a battery of tests run against the trunk code-base and if the tests pass a new package appears in the Ubuntu archive, giving you the opportunity to test it and keep up to date with the very latest in Unity. All feature planning and tracking is done publicly in blueprints and discussed at our Ubuntu Developer Summits. 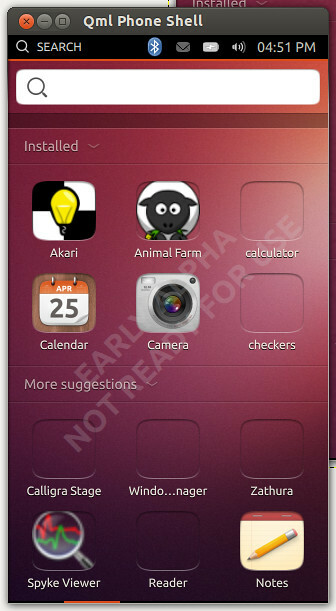 The goal is that the phone user interface in Unity 8 will be mostly complete for Ubuntu 13.10, and then the focus will be on Desktop between 13.10 and 14.10 with the goal of shipping Unity 8 on the desktop in Ubuntu 14.10, thus spanning full convergence across all form-factors with this single Unity code-base and set of scalable design patterns. “…and then the focus will be on Desktop between 13.10 and 14.10 with the goal of shipping Unity 8 on the desktop in Ubuntu 14.10…” did you mean 14.04 there or really 14.10 ? Ok thanks for answering Jono! Will the tablet interface (that is, those additional features that are not there on the phone interface, like side-stage, multi user login, etc.) arrive by 14.04? Thanks for this post, as myself and others have been rather confused as to the intentions as far as this goes. Contributors are seeing UDS filled with Phone onramps and not a lot of notice towards Desktop at all. I think most of us (including the ones who have recently left the project in recent months) can accept the fact that the phone is a priority “for now” as it is very new technology and has to be ironed out. 10.04 was a miraculous journey to 12.04, but I think a lot will find that the same journey on the desktop from 12.04 to 14.04 seems sort of stagnant. However, the goal back then in the Precise days was convergence, and I think most in Ubuntu were excited about that prospect. I think most envisioned, however, that the UI would be made for the desktop first, then translated to the phone. It has been the other way around, which leaves some wondering if Unity 8 desktop will be identical to Unity 8 phone or a touch-first experience that is counter-intuitive. I think it’s easy to fear that, but I think you have eased some of our worries. You needn’t worry about the focus being on phone first with Unity. This design path actually comes from a tried and tested place. The current approach with Responsive Web Design is mobile first. The thing is, it’s a lot easier creating a specific layout for a small screen first, and then building out as the resolution increases than it is to build for the largest resolution you can and then trying to squeeze everything down. I have to admit that this sounds perfectly reasonable concernig the emphasis on mobile devices. I’m curious to see how Unity 8 handles different workspaces. Organizing the desktop and apps has become essential to me after using GNOME Shell. It’s great to have things organized in different workspaces instead of just slamming everything on one workspace and trying to use the dock to make sense of relevant apps to current task. I found that in Unity the workspace management (grid) isn’t as simple/clear compared to elementary OS, GNOME or even OS X. (1D VS 2D). I generally use multiple monitors, and keep tasks separate to their monitors. I’ve never gotten into the multiple-workspace groove myself. All core apps like “music” and “calendar” in future will have desktop interface? Do you plan change file manager from nautilus to core apps “files” in 14.10? The beautiful thing is, twitter, facebook, and Google Maps already have pretty competent small resolution versions of their websites, so I think it would be a waste to worry about non-HTML5 apps for them. And in any case, as Ubuntu Phone gains traction and popularity, those companies will create apps themselves. Also, since it is Linux after all, it might very well be possible to get an android wrapper to run these apps. Like to hear that :). The seach field is on right side and in unity is on the left side. That is a mess. Unity is the whole shell, so what you’re saying makes absolutely no sense. That aside, the right side is obviously the best place for the search box to be in tablet and desktop modes, as if it weren’t the left side would be too crowded and the title would be messed up. The HUD is the greatest thing I’ve seen [= used] since two years ago I joined Ubuntu. I’m somehow dependent on it so that feel something is absent while working on others’ computers. I really can’t wait to see convergence story in practice. that’s interesting cos I have no use whatsoever for the HUD and it doesn’t impact my using Unity in anyway. Yes it seems like sane strategy and i hope it will be production ready by 14.10. Meaning OEMs will be confident to put out hardware (PCs, phones, tablets, TVs…) with Unity Next preinstalled. On the desktop side please don’t remove stuff like desktop icons… Then we all will be happy and to bad Compiz have to go for example but i hope in the end everything will come together nicely! Fantastic! When I first started back into the Linux world in 2008 after a very long hiatus, I dabbled with Ubuntu and thought this is a great OS. Unfortunately I would go between it and Windows and OSX several times for various reasons, but I always leaned towards Ubuntu (which is now my only OS on my desktop at home). Something that I always wished I had was some sort of convergence device to keep me locked in. I had envisioned something like the Asus PadFone, phone to tablet to laptop deal with Ubuntu instead. I’m glad Ubuntu is focusing on this concept. I don’t really understand all the hate that people have against the focus on the mobile, because it points back to the desktop getting better. If the ‘one OS to rule them all, one image to bind them’ idea plays out properly, if the phone is solid and secure and efficient, then those improvements would HAVE to serve in making the desktop more efficient. I just don’t see why others aren’t latching onto that. Great work to Ubuntu in general for the great strides it is making, and also great work to you and your team for the cat herding of the community you do. Nah, people are just freaking out because the desktop doesn’t behave and look like it has for decades (cognitive dissonance). Give young kids, without prior computing experience, a modern desktop, let them use it for years and after that give them, say the good ol’ GNOME2, and they’d also freak out. This is the way forward. It’s so exhilarating to test unity 8 in the latest version of Ubuntu!! So far my impressions of unity 8 in alpha stage are very positive. Ubuntu is amazing!